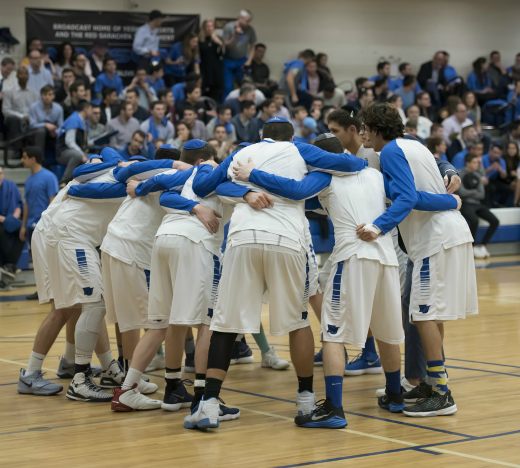 Yeshiva University men’s basketball team made history on Thursday evening at the Nold Hall Athletic Complex, as the Maccabees knocked off the defending Skyline Conference champion and No.1 seed Farmingdale State, 77-75, in overtime during the conference semi-final. As a result, YU will be playing in the Skyline championship game for the first time in program history. The Maccabees will play No. 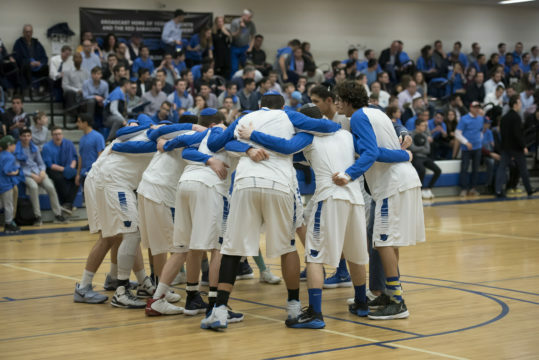 2 seed Purchase College, at the Purchase College Gymnasium, on Sunday at 1:00 p.m. The team that wins the championship will earn an automatic bid into the NCAA Division III men’s basketball tournament. The win is the Maccabees’ 17th of the season, which sets a program record. YU advances to 17-10 overall. The Maccabees led by as many as 19, but Farmingdale (18-8) rallied late in the second half. Liam Monaghan hit a 3-pointer with 13 seconds left to tie the game and send it to overtime. The Maccabees were able to bounce back and outscore the defending Skyline champions, 8-6, in the extra session to clinch a spot in the championship game. Leading the way for Yeshiva was sophomore guard Simcha Halpert, who produced 18 points with four rebounds. He made history as his 3-point field goal with 12:12 remaining in the opening half set a new program record for points in a single-season. Eli Hami previously held the record, scoring 548 points in the 2002-03 season. Halpert currently has 562 points so far this year. Watch the game live here.